Exactly what it says on the tin. Please vote for 1, 2, or 3, and also post below with why you choose what you did. I prefer the second one, but I think it would look better if the guy had a top hat. Other than that, I would say that the second choice is the best, in my opinion. People assume that time is a strict progression of cause to effect, but *actually* from a non-linear, non-subjective viewpoint - it's more like a big ball of wibbly wobbly... time-y wimey... stuff. I like the second one. I'm not feeling the other covers. I'm not on them? Then I vote for nothing. Oh yes, we must have nikky on the cover, but he must wear a top hat and a monocle! Hmm, you're right about that. I'm still torn. At first I liked 1 for the colors, I like 3 for the colors too, and I like 2 because I'm a dude, and white, and proper, although very much neither short nor bald. It could be a tall doofy emotard. That'd fit you rather nicely. The covers look like really boring text books. Why can't you get permission to use a photograph of a ti-83/84+? 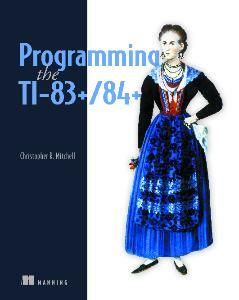 Make the cover engaging for a young reader/programming, not some rennisaunce historian. While I don't agree that the covers are that boring, those covers don't really make me feel like that it's going to be an interesting and easy to read book. Out of those three covers, I like the third the most, though. I agree with souvik. It looks like a programming book from the cover. All the O'Reilly books use black-and-white sketches of animals. Those have always been appealing to me. Upon second inspection of the lineup, I noticed that on the second cover, the title is a bit hard to read where it goes from the solid blue-grey to the white background. At the same time, I really love the splash of color on the otherwise-dull cover. Thanks for your continued feedback, everyone. I've sent out an email to see if that's at all possible, @Souvik and @ComicIDIOT; I'll let you know what I find out. I like the 3rd because the unfortunate pattern of the lace almost makes it look like her ta-tas are exposed. Other than that the first or second would be my choice. Will this be available in Atlantic Books the next time I'm on the Boardwalk with my father(Mid-June)? I like the 3rd for some reason. Other than that the first or second would be my choice. Will this be available in Atlantic Books the next time I'm on the Boardwalk with my father(Mid-June)? Most likely it won't be available in bookstores until September or October, depending on how my writing and editing schedule goes. Early September would work, we usually take one last weekend trip to the grandparent's shore house before the start of the school year. Failing that, my dad has to close down the house in early November and could pick up a copy then. I agree with souvik. It looks like a programming book from the cover. All the O'Reilly books use black-and-white sketches of animals. Interesting. I find no correlation between animals/humans/nature and programming. 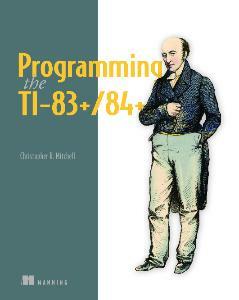 When I look for a programming book I look for something other than a squirrel or bird on the cover. When it comes to books, I really do judge a book by it's cover. O'Reilly is pretty well known (imo) for its animals on their covers. It's very easy to pick out the books that are usually good because of that (I haven't found an O'Reilly book that I absolutely hated, though, I can't think of any book like that). If it weren't for them choosing animals for the covers, I would always go for the ones that have (for instance) Lady Lovelace or Babbage on the cover, probably. I have to agree with octal, I do like the cover design of O'Reilly books, as well as their structure for reference. The Java 5 book is a great example of this (As well as having a tiger on the fron,which makes it look really awesome): It's got a bit in the front telling you how to program, and it shows some examples of how to do common tasks with the API. The second half of the book is pure reference, with an entry for every class. I can't tell you how many times I've had that checked out form the library. I also like their colophon at the end of the book that says what the animal was, and what the book was set in. 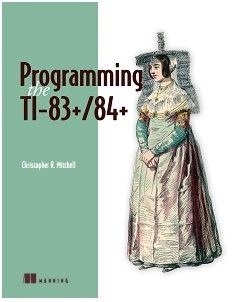 Back on the subject of cover design, it shouldn't violate any copyright/patent stuff, because a picture of a TI-83 or 84 is just that: a picture. As long as you take the picture, it doesn't violate any copyright claims. That's like saying that taking a picture of a painting violates copyright. I see no reason why you would ever have problems with it. There are 130 users online: 0 members and 130 guests. © Copyright 2000-2019 Cemetech & Christopher Mitchell :: Page Execution Time: 0.167520 seconds.